The largest retail branch network in Europe is not Tesco, Carrefour or Marks & Spencer. With over 370 years of service, 17 million customer visits and approximately 47 million transactions per week, the humble British Post Office is the largest retail network and the largest financial services chain in the UK. Holding more branches than all of the UK’s banks and building societies added together - with most of the UK population living within one mile of their nearest Post Office branch. Over the last 30 years, the number of Post Offices in the UK has more than halved, although numbers in the last couple of years, since 2009 have remained stable. There were 25,000 Post Offices in the 1960s and this number has been in steady decline ever since, culminating in the government's announcement in 2006 that 2,500 branches - a fifth of the network - would close by 2009. Although that move sparked an outcry there were sound financial reasons behind it. The vast majority (97%) of Post Offices are not run by Post Office Limited and are run by franchise partners or sub-postmasters/mistresses - private business people who often also run a retail business, such as a stationers or newsagents, on the same premises. Post Offices in the Post Office Network stood at 11,648 at the end of June 2016. Franchise – This opportunity involves adding a Post Office franchise to your already existing business. This will then replace the existing Post Office in your area. Property and franchise – This option involves applying for a Post Office with either a leasehold or a freehold premises to purchase and develop. Post Office Main branch – These branches have the largest customer base and offer the widest range of services. They operate from a designated Post Office area and are not fused with any other business. Post Office Local branches – Often in villages, high streets and parades these branches integrate Post Office services with retail businesses, the services can be offered from the same service point and operate during the same opening hours. Community Post Offices – Serving customers at the heart of the community, these branches serve the community where there are no other suitable retailers. Rural decline is among one of the challenges facing the sector. Many of the losses are expected to be in rural areas, unsurprising given that rural Post Offices are threatened by the same socioeconomic problems that are making some other rural businesses unviable: low incomes, a declining population and a seasonally variable population thanks to the preponderance of second homes. Also, many of the services traditionally on offer at Post Offices can now be found online, thus negating the need for people to leave the house. 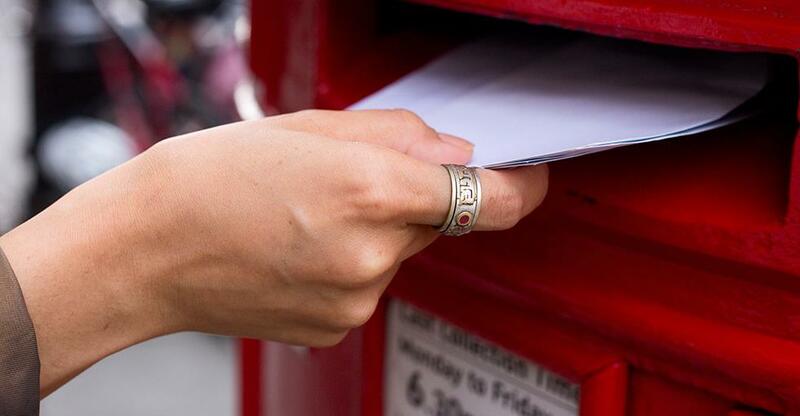 Nevertheless, there is clearly support for the Post Office network in the media and in politics, with many acutely aware that Post Offices are a crucial lifeline for vulnerable people across the country, as well as a well-respected provider of essential services for the general population. Opposition politicians, newspapers and lobby groups such as the National Federation of SubPostmasters (NFSP) are likely to ensure that government support for the remaining post offices, particularly in rural areas, continues for a while yet. This protective instinct was evident when, to soften the blow of the closure announcements, the annual £150m subsidy to help rural branches stay open was extended from 2008 to 2011. This will help the government continue to meet its goal of having 90% of the population within three miles of a branch or six miles for those living in remote areas. The government's determined reorganisation of the Post Office at least shows an acknowledgement that it needs to adapt, something also demonstrated by a recent deal with BT to offer broadband. And the company, despite its troubles, still sells more foreign currency than any other retailer, and is the third largest provider of travel insurance in the UK. As well as the mainstays of bill payment, licensing, the National Lottery, and of course postage, the Post Office now brokers unsecured loans and offers credit cards too. Not all branches have taken advantage of the changes, but it is clear that in the right situations, and to people with an entrepreneurial mindset, they offer opportunities rather than threats. It is worth remembering that Post Office services actually represent quite a small proportion of income for many sub-postmasters, for whom their Post Office counter is but one part of the business. Post Office services can help attract customers who'll then spend money on other goods, such as alcohol, newspapers, confectionery or gift cards. The opportunity to supplement a wholly private retail venture with regular subsidies from the Post Office is what attracts many people to the sector. According to the NFSP, "sub-postmasters are not employees of the Post Office Ltd, but act as agents contracted to provide services on behalf of the Post Office Ltd." The Post Office pays the sub-postmaster a fixed payment together with a supplement according to how many transactions pass over the counter. Having a guaranteed regular payment from the Post Office to supplement your income offers you a stability that most other businesses just cannot offer. In a sense, you have an income security associated more readily with franchising yet, because the Post Office need only be one part of your business, you still have complete autonomy over your pub, convenience store or whatever the primary business is. Not everyone is suited to the job – and it’s worth noting that the Post Office don’t award branches to just anyone. Most sub-postmasters are entrepreneurial, with a background in a customer-facing industry. Postmasters should also be willing to engage with their local communities and have the wherewithal to patiently explain banking, insurance, postage and other often complicated services to the general public. It's no wonder that people with experience in retail areas such as banking make up a high proportion of buyers. Previous experience running a business is also vital, as well as a decent degree of computer literacy. The Post Office prefers applicants who are both stable and mature. Running a Post Office branch carries more responsibilities than most businesses as you are legally responsible for the delivery of registered letters and giros. Vulnerable local people are dependent on your services and in remote areas the branch can be the bedrock of the community. It can take anywhere between 7 months to a year from the moment you submit your application to your branch opening to the public. If you meet the criteria the application process involves several checks, you will have to fill in an official application form, produce a business plan and present your plans to a member of the applications team. Successful applicants are provided with comprehensive training, starting with time spent in the classroom. This will be followed by a couple of weeks of on-site training, including a day with an experienced sub-postmaster. You cannot specifically buy a Post Office on its own, and if you wish to buy a business with a Post Office, the Post Office will make the final decision on whether the buyer can operate a Post Office through their usual appointment process. Darren and his wife swapped the rat race for rural life in Devon – and couldn't be happier.